Long before President Donald Trump, there was another American love affair with China’s Great Wall -- none other than Benjamin Franklin. 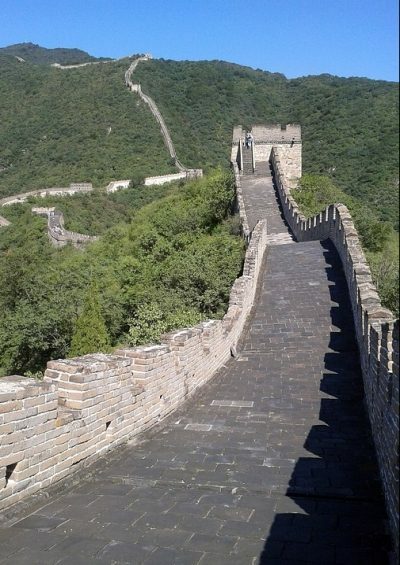 Unlike the American experience, the Great Wall of China was built by laborers with human tragedies over a period of two millennia. President Trump’s wall is inimical to America’s philosophic empire. As the US Congress contemplates Trump’s wall, it ought to remember the enlightened vision of the founding fathers. After initially building Fort Allen, Franklin supervised the construction of three other fortifications—Forts Franklin, Hamilton, and Norris—over the Blue Mountains of Pennsylvania between the Delaware and Susquehanna rivers. As Congress contemplates the very idea of a wall and the cost of another government shutdown, the representatives of the people ought to remember that we are simply an assortment of transitory guardians with diverse faith traditions. The American experiment born out of the Jeffersonian ideal that “all men are created equal” was meant to eventually make the new republic into a great melting pot.